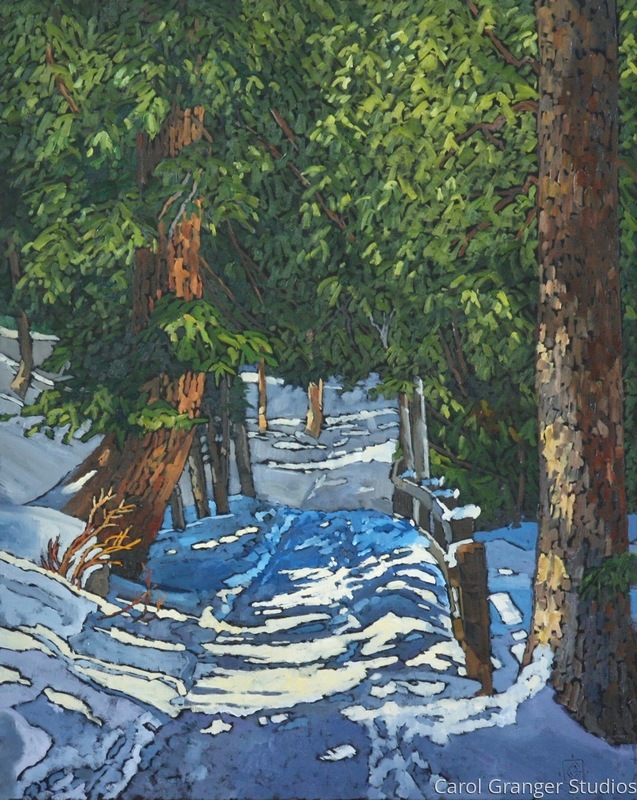 The inspiration for this painting is from a photo I took while enjoying a winter hike in Big Cottonwood Canyon. It was a beautiful clear day among the pine forest surrounding Silver Lake. I loved the sharp shadows cast on the snow and the texture of the trunks of the trees.